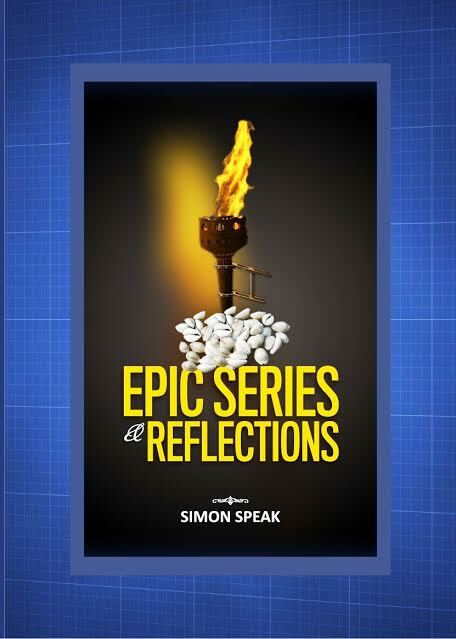 A careful reading of Simon Speak’s Epic Series & Reflections will serve to clear up any confusion concerning its purpose and content. The two plays in the collection, Basante and The Graveless Yard, key-note the focus of the book as he attempts to apprehend the expression and cultural values of the moment. In these versatile plays, Simon provides a perceptive look into the context of what constitutes tragedy in pre-colonial Africa, the definition of communalism, heroism and honour, the primal counter influences on post-colonial theory of individualism, politics and egotism. His reactions, we need to admit, aptly revisit the projection of myth, magic and history as comprehensive materials and, in the opinion of this reviewer, reassess the language of Wole Soyinka’s play The Strong Breed which appears to romanticize the concept of exploiting the societal arrangement, exploiting the weak and the ignorant, making gains out of the tragedy of the underprivileged as an appropriate continuing experience in communal politics, and Femi Osofisan’s refutal in No More The Wasted Breed, a play that demonstrates an interesting drama of confrontation and liberation from the constant rhetoric of tragic archetype as the appropriate vehicle to social development or cosmic vision. A study of oppression will show that the victim, some of the time, is his own enemy. Giving common experience the thought it deserves, one could not help wondering: why is it that the youths of this generation are endangered species? The tradition of psychotic murder of each child of Basante by Basante himself, especially those considered simply to constitute a threat to his many macabre indulgences is, to put it in no other way, the sickening reign of the terrible. The first play in the collection entitled Basante presents a title character whose power lies in making his victims, his sons and sexually exploited daughters, see him as their god. The household of Basante is truly strange. ADOMBE: The gods give you a male. CAUTE: I will give Basante a son. In his use of beautiful dialogues, graphic integration and synthesis of cultural materials, narrative talent and creative imagining, Simon presents a classical prototype that is symbolic both as a tragedy of self –pride or individualistic ideal and the pet symptoms of Basantisis, a sheer delusion of being a god while mud-wrestling in one’s own destructive world which must not be embraced. A point that this reviewer likes to stress strongly is what some clinical psychoanalyst would undoubtedly put down as Basante syndrome. Simon’s devout reverence for traditional African drama is also evident in the setting, forms and aesthetics woven into the concluding part of the epic series, The Graveless Yard. At the very heart of the play is the functionalist role of the community and the interpretation of African world reality and metaphysics. Every individual is necessarily the center in the chain of life. The significance of the protagonist Edezuno’s journey is linked with the nature of his destiny. UGUMA: (going back) When you walk to it, you will know (p.70). A true playwright is a mystic, social commentator, and interpreter of the thoughts, beliefs, and reflection of the people. The playwright Simon Speak is a voice to reckon with amongst the contemporary giants in the field of literature. Epic Series & Reflections was published in 2016 by Seventh Vision Nigeria in paperback format. 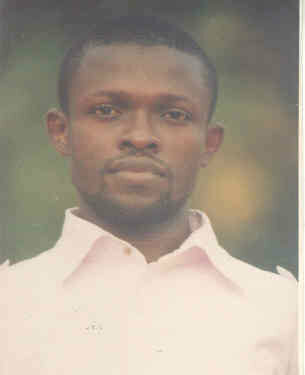 The playwright Simon Speak, whose birth name is Anizor Simon, is from Anambra Umu-oba Anam in Southeastern Nigeria. 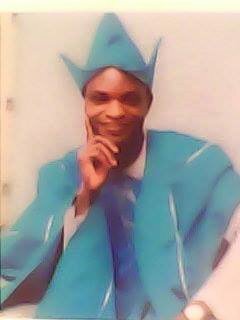 He is the initiator of the Seventh Vision Nigeria and Student Development Initiative international whose set goals, among others, are to take education to the underprivileged and to establish mini-schools in every part of the country. 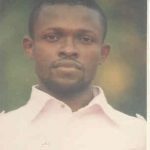 Simon obtained a Bachelor degree in Polymer and Textile Engineering from the Federal University of Technology,Owerri and Diploma in Latin from Urban University,Rome.